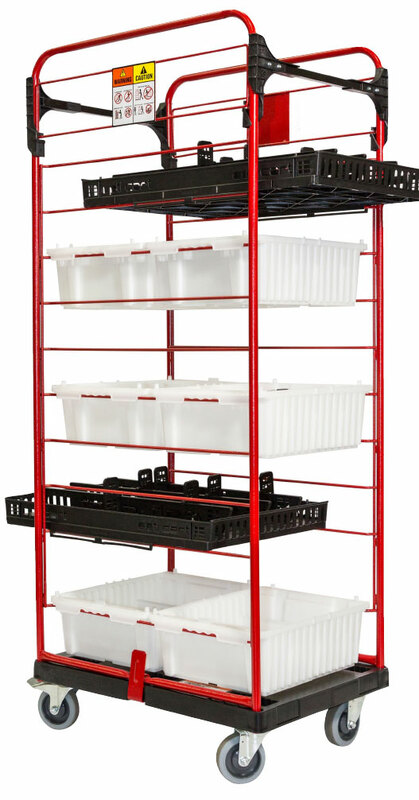 Our CombiCart holds up to 12 bins, up to 12 shelves or a combination of both. It “combines” the benefits of our Replenishment Cart with the benefits of our Conveyor-Tray Cart while utilizing additional vertical space. Bins, shelves and a large variety of accessories like Dividers and Separators keep products organized.